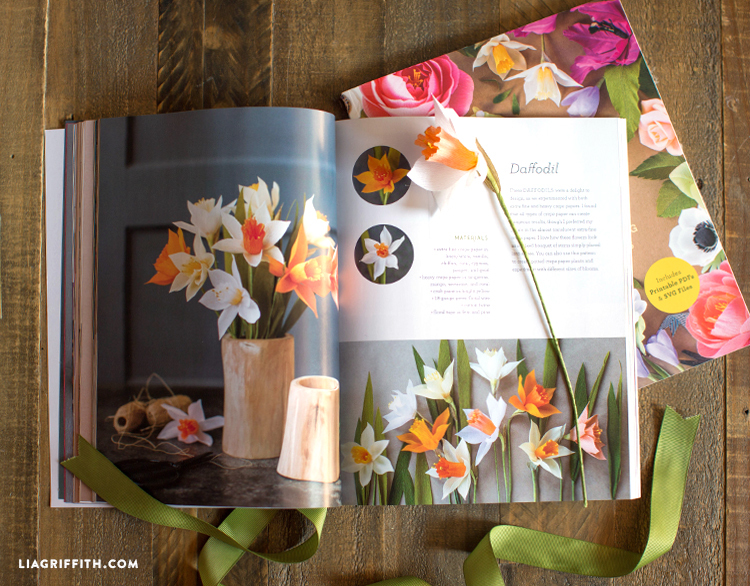 If you’re new to making paper flowers, you’ll want to check out our latest book! Crepe Paper Flowers: The Beginner’s Guide to Making & Arranging Beautiful Blooms is now available on Amazon and Amazon.co.uk. Maybe you’ve made a few paper roses, poppies, or ranunculus. Or maybe you’ve always wanted to make paper bouquets, but you’ve been too intimidated to try it out. If so, then this is the right book for you! 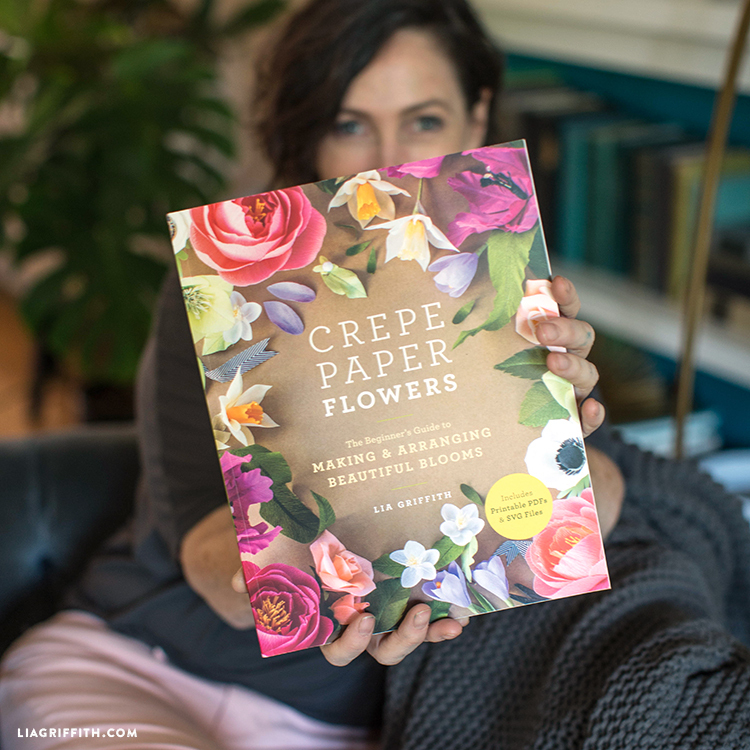 When you read our Crepe Paper Flowers book, you’ll see how easy it is for you to learn how to make beautiful paper flowers and perfect your flower-making skills. From cutting to coloring to shaping, you’ll find all the DIY tips you need to create your favorite flowers. You’ll also learn how to store and ship paper flowers so they stay as stunning as when you first made them. 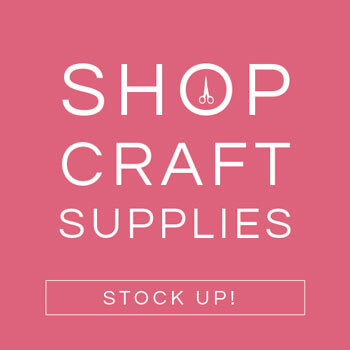 Starting a new craft project should be exciting—not stressful! 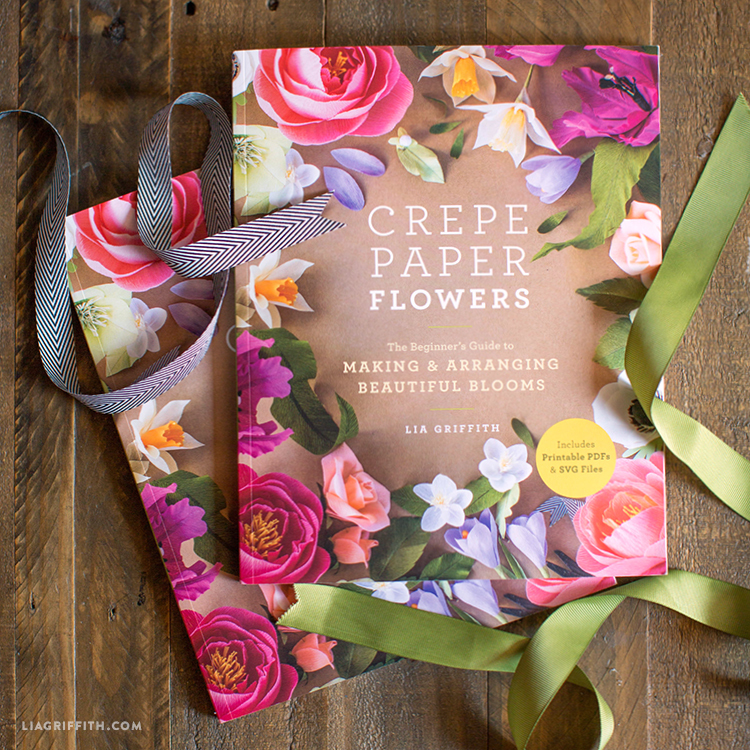 Our new Crepe Paper Flowers book includes 30 projects with clear, simple instructions that make it easy for anyone to create gorgeous DIY flowers. This beginner’s guide also includes an introduction to working with different crepe papers to craft flowers—as well as helpful tips, plenty of inspiration, and expert advice. We can’t wait for you to read our new book and let us know what you think! Get it now on Amazon. 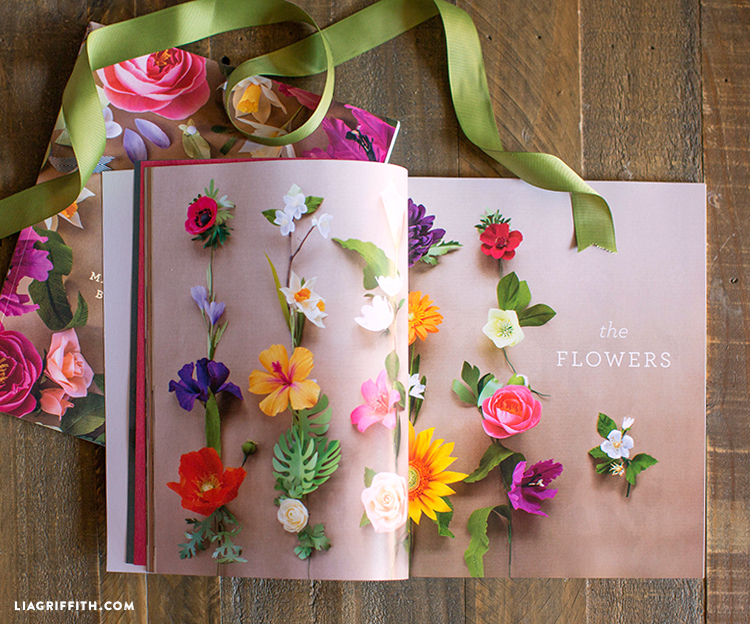 While you don’t need a Cricut Maker for any of the paper flowers in our book, it definitely makes crafting easier. If you do have a Cricut, you can download the templates in this book to your machine, so you can enjoy your paper flowers that much faster. 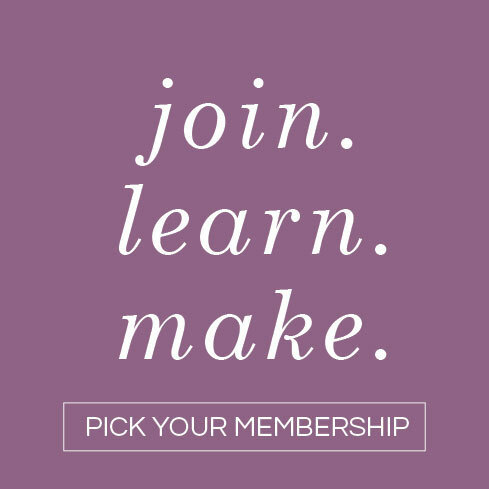 Still getting familiar with your Cricut Maker? You’ll find tips in our book for how to use the machine. 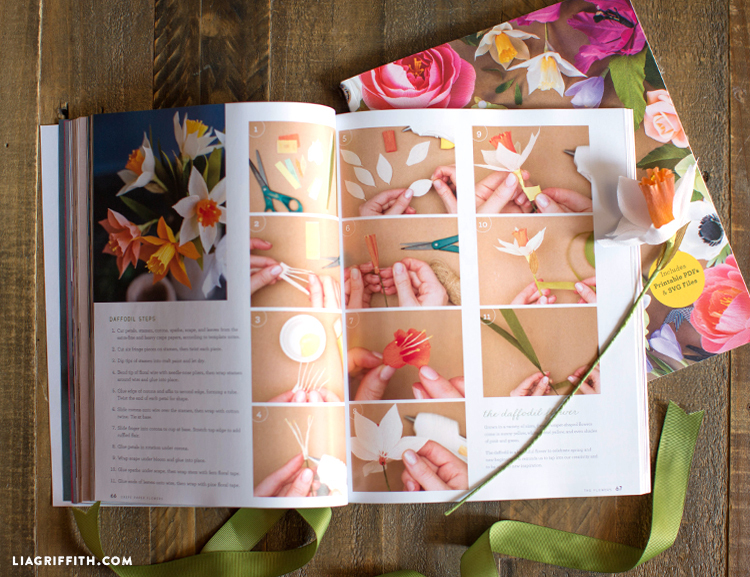 Otherwise, you’ll find printable PDFs for our paper flowers in the book. I bought this book and can’t find the svgs for the flowers. I have the code and it directed me to your page but can’t find the svgs to add to my zip folder. Hi Tammy! The URL is listed in page 31 of the book (it’s not just liagriffith.com). 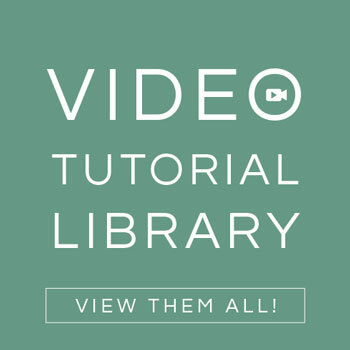 Once you’re inside the page, follow the directions to click on the photo of the book, and the zip folder of SVG files will download automatically to your computer. If it’s not downloading automatically, it could be a setting on your computer that you’ll need to look into. hi how can i buy your books? Hi! They’re available many places but there’s a link in this post to our shop, or Amazon. Hi Pam! The only Cricut machine that we know will cut crepe paper is the Maker, because it has a rotary blade tool. 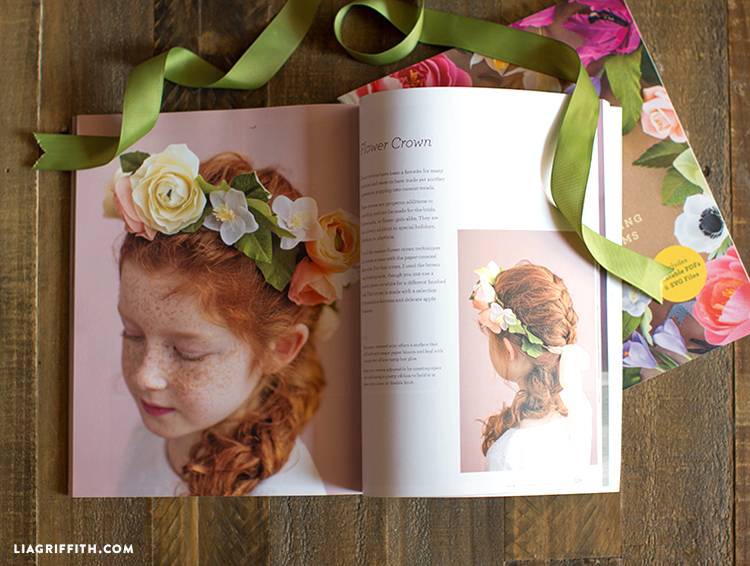 Are the flowers in the book like your website, where you can’t sell finished products but only use for personal ? Are the SVG files in zipped format? Yes 🙂 They’ll need to be unzipped before uploaded to Design Space.